Pigs toss lumps of dirt around when they are rooting. 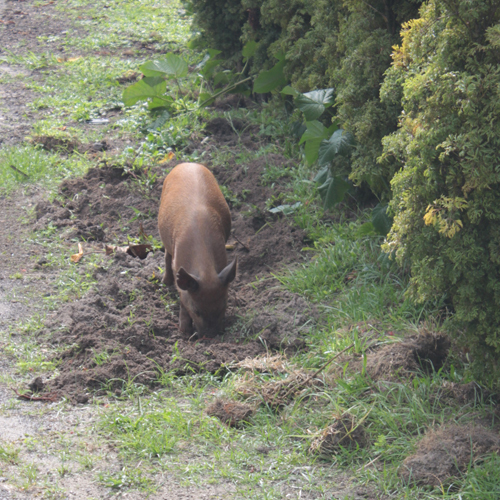 Pigs use their noses to dig through the soil – this is called rooting. Pigs will root through the ground and toss quite large lumps of dirt around. Sometimes an area will be completely ploughed over. This pig is in Samoa.